A strong roof is essential for protecting your home from the elements. However, exposure to rain, occasional snow, and potent ultraviolet rays during winter may affect its integrity and reduce its ability to safeguard your property from damage. By taking proactive measures to keep it clean, you can prevent serious issues, such as roof leaks and subsequent repairs. Here’s what you should know. 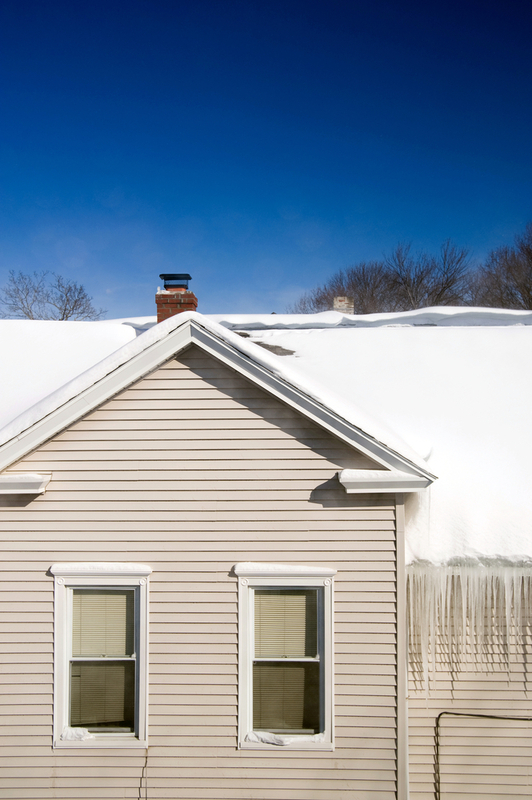 What Happens to Your Roof in the Winter? Winter tends to wreak havoc on the roof. While it doesn’t usually snow heavily in middle Tennessee, flakes can still accumulate and put significant pressure on the surface, leaving damaged or old rooftops vulnerable to collapsing. This is why it’s critical to clean your roof before winter has a chance to make its impact. Leaves and other debris both on the roof and in the gutters can trap the snow and lead to ice dam formation in the valleys. Backed up water behind the dam may trigger roof leaks inside the house. Cleaning the roof helps moisture run off easily into the gutters and away from your home. How Does It Impact Your Comfort Inside? A debris-covered roof is inefficient because trapped snow essentially remains in place longer than it otherwise might. The result is a cooler attic, which forces your HVAC system to work overtime to warm your home. You may even see the impact in the form of elevated energy bills. When your roof and gutters are clean, moisture can run off cleanly instead of remaining stagnant, collecting in valleys, and running down the sides of the house. How Can Homeowners Handle It? Have a roofing contractor inspect your roof and gutters before severe winter weather hits. That’s key to protecting the surface’s life expectancy and preventing roof leaks, asphalt shingle damage, and repairs. Your roofer will also assess any issues like algae and moss growth, which can trap moisture and lead to widespread damage over time. In addition, a professional can safely remove leaves and branches. Hiring a power washing company to remove any stubborn debris will also maintain the integrity of your structure. Is your roof ready to handle all that winter has in store? If you’re not confident, turn to the team at Genesis Roofing. Based in Sparta, TN, they’re proud to serve homeowners within a 75-mile radius of White County. Whether you have a worrisome roof leak, are concerned about the condition of your asphalt shingles, or want to schedule a possible repair or replacement, you can trust them to handle the job promptly and professionally. Visit the company online to find out more, or call (931) 335-2775 to schedule a free estimate.